Breizh has been in business for over a decade, with current owner Vinod taking over in December 2016. They've seen their menu develop and grow over the past couple of years. It now offers a great selection for Breakfast, Lunch, and Dinner, on top of this they also offer an a la carte selection. Breizh also provides a pre-theatre menu, available from Sunday to Friday served from 5pm-6.30pm. It's safe to say that they enjoy food and they enjoy making the best food they can for their patrons. What's more, they've also put in significant time and effort to ensure that all of their food is made using produce from local suppliers. With so much to choose from what does the owner himself have to say about the menu? Vinod is a clear fan of steak but not just any steak. He had high praise to share regarding their sharing steaks available in Côte de Boeuf (a succulent and flavourful cut, on the bone), Entrecôte (a juicy and well-flavoured cut), or Chateaubriand (a flavourful cut, made all the more delicious thanks to its red wine marinade). Vinod’s personal favourite is the Côte de Boeuf, he enjoys a good steak and this is a substantial offering. It won't leave you hungry, we'll put it that way. In terms of customer favourites, Vinod didn't have to ponder this question for long. The clear winner is Breizh's Cordon Bleu; chicken stuffed with Parma ham and cheese. It has become a mainstay at Breizh and has only come off the menu once in Vinod’s time as owner (and was quickly returned to the menu when they saw what they had done). It’s an absolute favourite for regulars and new visitors alike and well worth a try. In June 2017 they added a handmade mushroom bruschetta to the lunch menu as a simple yet satisfying starter. It was intended to be there for a few weeks but it has proved so popular that it’s still there more than a year later. Another good addition has been their introduction of hand-cut chips. They’re twice cooked to add that extra crunch and have that satisfying golden flavour of a well-made chip*. They make a great accompaniment to any steak but they’re so popular that many patrons are known to come in just for a bowl of hand-cut chips. (*shhh, they’re healthier than fries as well). 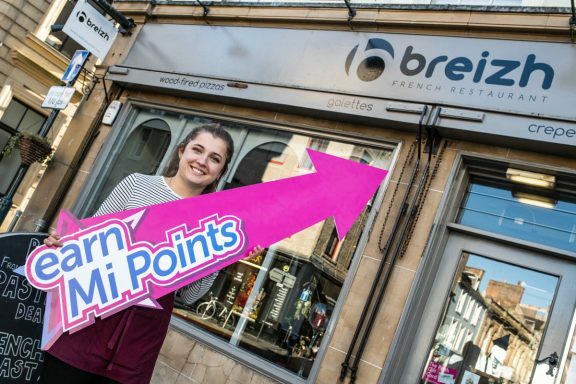 Breizh is one of many Perth businesses that offer Mi Points when you spend. Mi Points is a reward system open to all Mi Rewards members; it's something most people are familiar with. You collect points as you shop and covert them into a Perth Gift Card once you've saved enough. The interesting difference with Mi Rewards is that you aren't limited to getting points in just one shop. 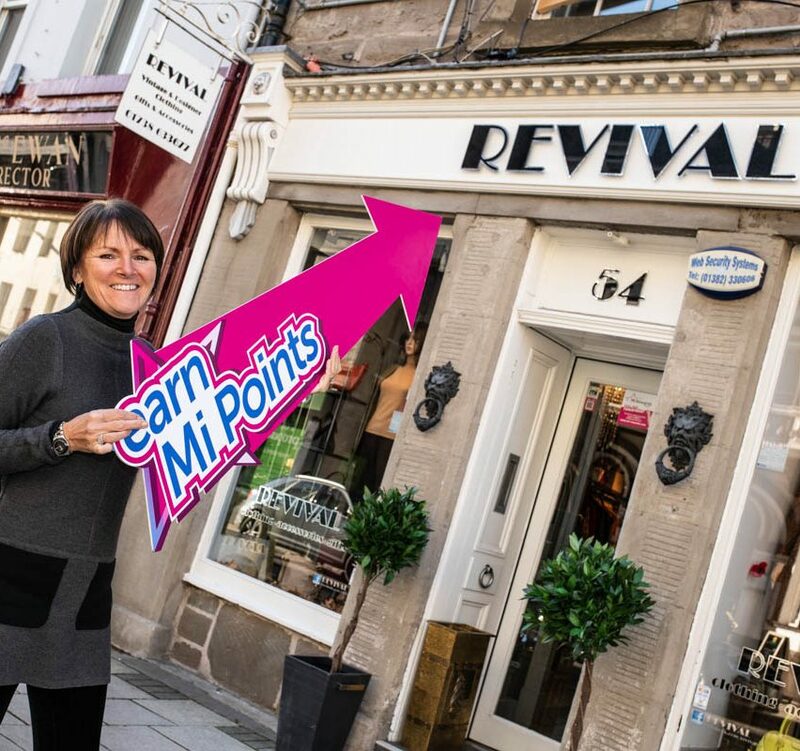 At our latest count there are more than sixty businesses throughout Perth who offer Mi Points on purchases. On top of this you get access to member-exclusive perks and prize draws on a regular business. It's easy (and free) to join, simply click this link to sign up. Vinod likes the idea too, he had this to say: "It's a really good idea. Perth needs something like that to encourage people into the city. Perth has so much to offer already, but Mi Rewards adds that extra incentive to try what’s right there on your doorstep."